It has been nearly two years since conflict erupted in South Sudan. The fighting has seriously affected food security in the country, leaving it on the brink of a hunger catastrophe. 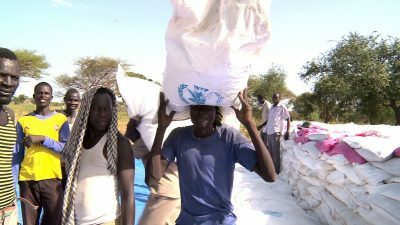 The World Food Programme (WFP) and its partners have been at the forefront of efforts to bring lifesaving assistance to millions of people affected by the conflict. All these people just want peace so that they can return to their normal lives. 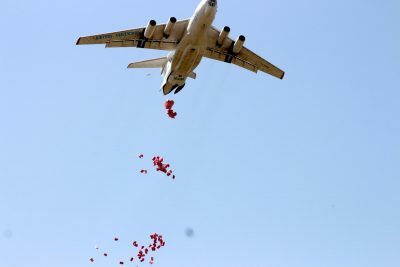 WFP is using all means at its disposal – including airdrops, riverboats, and distributions of food, cash or vouchers – to reach hungry people in conflict zones with life-saving emergency food and nutrition. One such operation is ongoing in Oriny in Fashoda County in the Upper Nile State. George Fominyen Communication officer for World Food Programs (WFP) in South Sudan said the agency deployed its rapid response mission alongside partners including UNICEF and World Vision to Oriny where WFP is providing food assistance to nearly 16,000 people who have been registered. Many children, women and elderly people came from different villages to Oriny to receive food where most of them said they have been walking for more than two days to come and receive food. They said they have nothing to eat even they don’t have clean water to drink and that is why they have come to Oriny so that they can get food because they have none where they are coming from, the rain having also affected their crops this year. “We are delivering food assistance using an air operation with airdrops and we also have airlifts where we bring in supplies that cannot be dropped, such as special nutritious food as well as oil at this time. And it is to provide assistance to this community for a long time without access due to fact that they have to continually move due to the fighting around the area,” George said in Oriny. 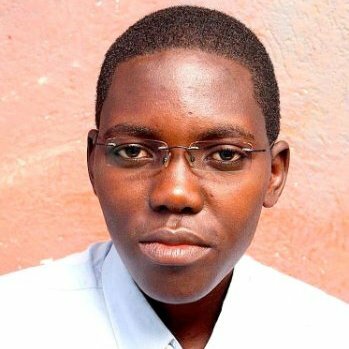 “They are supposed to have cultivated but due to the conflict they keep moving from one place to another which places them in dire need of assistance,” George added. George mentioned that the infrastructure in this country is a challenge. The roads are not so good, especially when we are in the rainy season, the roads are impassible so to get to such locations you have to use airdrops and possibly use river barges sometimes also by crossing the river, but we have issues of security at times which is a challenge. In all, to get into such remote areas we need to bring food in using only air operations like the one that we are using here. George said, according to the last report of the food cluster which give an outline of the food situation, 3.9 million people were facing acute hunger in the country, especially in Unity State where the humanitarian community has very little access due to constant conflict and the difficulties in terms of movement in those places. There is a real concern about people being in a situation that is nearly catastrophic. He mentioned that right now WFP and other humanitarian organizations are trying to go to those areas to reassess and find out what the exact situation is so that they are able to assist the population further. WFP is also supporting vulnerable families in other non-conflict affected parts of South Sudan with programmes to improve food security, including school meals and asset-creation initiatives.